Smartick, Singapore’s first truly artificial intelligence (AI) based online math enrichment program which enables your child to learn math at his or her own pace while staying competitive. More about Smartick, it was launched in Singapore recently and is fronted by its award-winning artificial AI mechanism, which adapts accordingly to a child’s level of understanding and learning in math with a variation of approaches and exercises including mental calculation, arithmetic, logic, and word problems. With Singapore’s recent push for equality within the education system through initiatives in support of children with special needs, it is also timely for Smartick to enter the local market to aid this cause. The program is ideal for children aged between 4 to 14 years old, Smartick also enables a child’s independent work beyond the classroom by not only reinforcing fundamental math but also improving their mental capacity in an efficient and dynamic manner. Our Parenting World – OPW Media team is pleased to be able to interview Maciek Strzyz (MS), Marketing Director, Smartick to find out more. Maciek has been in the education industry for about 5 years and has since chalked up a vast experience of this evolving sector. 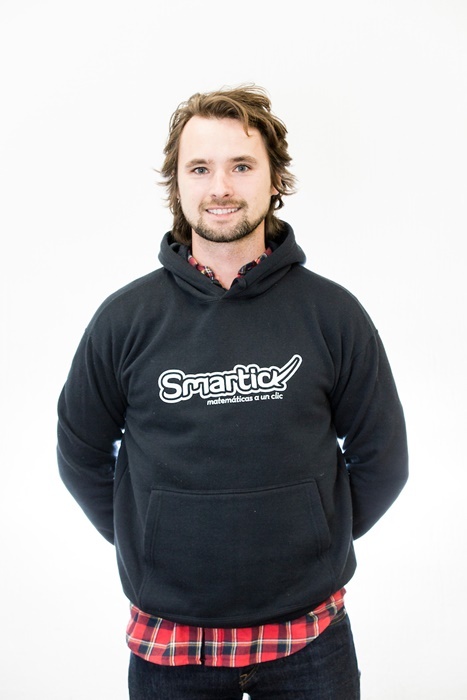 Seeing that there was a gap in how children were learning in terms of how each child’s pace of learning is different, yet having to solely follow their academic curriculum, Maciek decided to join Smartick to resolve that. Combining his experience in the edutech industry with his knack for marketing, Maciek oversees the growth and expansion of Smartick in over one hundred countries, most recently in Singapore. Big on A.I, Maciek understands how each child requires an educational supplementary platform which supports them individually according to their pace of learning, rather than keeping their learning bounded to the curriculum or have them play catch-up to it. He joined Smartick having previously co-founded his own edutech platform, Uveni, which was targeted towards helping students identify the best careers and study tips. Maciek graduated with a Bachelor in Marketing and Management from the University of Economics in Cracow. In his free time, he can be found surfing at sea, or riding his bike around places during his travels. 1. Please share with us more about your background and what made you decide to be an educator? MS: I have been in the education industry for about 5 years, even starting my own educational platform, Uveni, in the beginning, providing academic advice to students. Seeing that there was a gap in how children were learning in terms of how each child’s pace of learning is different, yet having to solely follow their academic curriculum, I decided to join Smartick to implement the solution for that, and thus pursue a role as an educator. This paved the way for Uveni to be acquired by Smartick and I had the opportunity to lead the digital marketing efforts here. 2. Tell us more about Smartick and your role? MS: Smartick is an online learning program whose A.I. helps children ages 4 to 14 years, reach their maximum potential in mathematics. Results are extraordinary with children preparing for the “Streaming” and “PSLE” tests. Its adaptive model ensures that children can keep up with the respective modules and learn in the most effective way based on their abilities. Selected by the MIT G-Lab (Massachusetts Institute of Technology), published by the Harvard Business Review and featured by Apple, Smartick is currently used by thousands of children in over 100 countries. Combining my experience in the EdTech industry with my passion for marketing, I oversee the growth and expansion of Smartick in over one hundred countries, most recently in Singapore. My main goal is to ensure that each child learns according to their pace while constantly improving, rather than limit their learning to their school’s curriculum or have them play catch-up to it, and that their parents understand how Smartick can support in achieving that. 3. How can the education sector be further supplemented with Artificial intelligence (AI), and how will it benefit the users? MS: As an avid advocate of balancing artificial intelligence with human interaction, I´m glad that you said “supplemented”. This is because at Smartick, we believe that great teachers are at the forefront of a child’s learning due to the daily personal human interaction. Smartick comes in to further support as an after-school program for math enrichment to help further maximise the child’s potential with just a daily 15-minute online session. With Smartick’s A.I. abilities, parents can also have a program which suits their child’s learning curve, and cut down on the time spent correcting their child’s maths exercises manually, commuting to and from tuition centres, and choosing enrichment materials that may not even suit their kids. 4. Can you share what are the tips on how to best select the right education supplementary platform? • MS: Ensure that the platform offers personalisation and customization according to a child’s level of learning at any given time, so that parents don’t need to spend time choosing the exercises to match their children needs. At Smartick, we take on the responsibility of doing so by having our A.I. algorithm match the user’s ability, correct the child and have the next exercise comfortable enough for the child’s attempt but yet challenging enough to push their learning boundaries. • Put your child through short exercises for maximised attention span. It has been proven that children have an average attention span of 15 minutes. That is why, at Smartick, we leverage that window of attention to best put the child to the test and improve their maths skills. That aside, we also understand that children in Singapore typically have a hectic schedule, from school, to co-curricular activities to additional classes. • Providing feedback – It is crucial for children to have the right feedback at the end of each exercise. Only will they then be able to retain the right information accordingly and learn from their mistakes. When children are done with Smartick, parents will get an email telling them about their children sessions. This way, parents will not only be able to provide feedback to their child based on our assessment but also better understand the areas in which they can further get Smartick to support in. • We also think that is important to mix the best of the old school habits with the best of technology and that means to value principles like effort and grit, and putting in the work on a daily basis. 5. How has Smartick leveraged on AI to build a system that benefits both students who are gifted, as well as kids with special needs? MS: Smartick’s A.I. system measures various aspects of a child’s progress during the course of each attempted exercise. In doing so, our algorithm is able to offer the next type of exercise according to the child’s results, and get them to work on their weaker topics. This allows the more gifted students to go beyond what they already know, and challenging themselves further by attempting tougher topics, possibly even beyond their current curriculum (as an educational advantage). On the other hand, our A.I. keeps drilling the weaker students through a variety of adjusted exercises according to their pace of learning, providing them with the sufficient time to understand and get the hang of it before progressing to other topics. 6. What is Smartick methodology and how did the team create this? MS: Smartick is an online maths program that helps children advance at the exact level they need and foster old school habits like daily work and grit. With our A.I. method, we propose a 15-minutes session of maths customized according to each child’s needs. 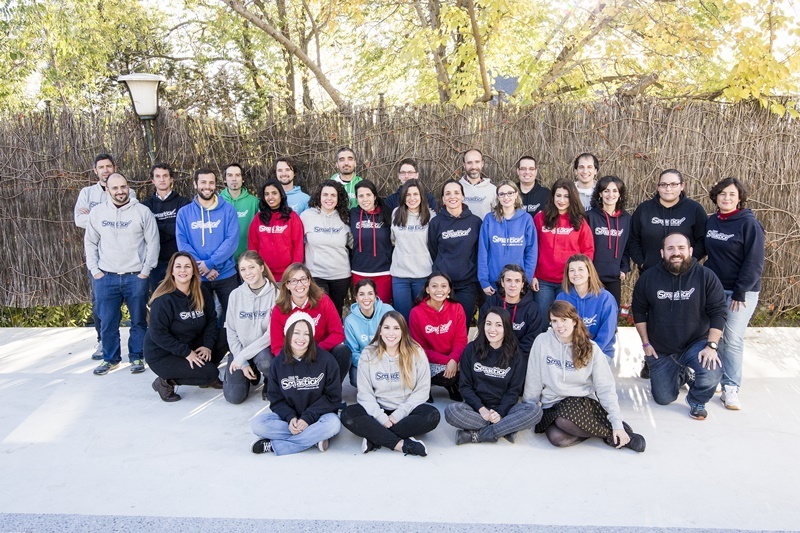 By combining traditional math method with technology, the Smartick team found that it has proven to be more attractive for children, as seen through our users in our 78 other markets worldwide. 7. How an average of 15 minutes of daily use of Smartick can help advance one’s level of math beyond the school’s curriculum? • Only 15 minutes a day for maxmised concentration. • Incorporating it with a child’s daily learning in class, using Smartick can see children fare better in their academic results. 8. How digitally savvy a kid needs to be to use Smartick? MS: The simple to use Smartick platform allows kids to easily attempt Smartick without the need to be entirely digitally savvy. The team has designed a UX that only requires users to navigate and answer questions in a straightforward manner, especially since we work with children from as young as 4 years old. 9. Does Smartick has plans to roll out enrichment tool for other subjects? MS: At this point of time, Smartick will continue to devote its time in helping children with maths. We are constantly looking to improve our platform to ensure that every child who requires support in maths will be able to benefit from Smartick. We will definitely let everyone know should we be looking to roll out Smartick for other subjects! 10. Lastly, do you have anything else that you would like to share with our readers about Smartick and how will it be beneficial for Singapore students? MS: It’s an honor for us to be in Singapore, a country that has such respectable educational standards. We want to encourage parents to enjoy the free 15-day trial of Smartick, simply head on to https://www.smartickmethod.com/. Thank you Maciek Strzyz for taking our intervivew! To find out more about Smartick and to sign up for the free 15-day trial, please go to https://www.smartickmethod.com/.